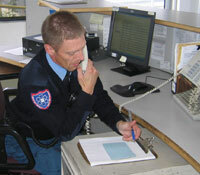 Safety Net Security’s mobile guards and dedicated alarm response security officers work with your alarm response needs. Our alarm response security services provide you with cost effective commercial alarms monitoring at your office (or even residential services). Avoid costly false alarm fees from local police and by-law enforcement by having Safety Net Security provide a professional and competent alarm, response service. Our on-site security guards ensure that your property, whether commercial, industrial or residential, is protected and is safe and secure. We do a complete interior and exterior patrol. Should there be a false alarm, our security patrol will re-arm your system to maintain security. In case of a legitimate threat, our patrol officers will contact your local police agency.